After five years of bootstrapping his startup, Instancy, Harvey Singh’s company has a finished education software product, revenue, and a growing roster of employees. As Singh looks overseas to expand Instancy’s sales reach, he says he is now ready for outside investors. He wants to raise that capital through crowdfunding. The federal Jumpstart Our Business Startups Act made it possible for companies such as Raleigh, NC-based Instancy to sell equity stakes to the broader public, not just wealthy investors. Final federal crowdfunding guidelines are still forthcoming. But Singh, Instancy’s founder and CEO, worries that even when those rules are finalized, the federal legislation won’t be enough. The JOBS Act caps the amount a company can raise through crowdfunding at $1 million—not enough, Singh says, to scale his company. “Any software company, or a biotech, $1 million is not really all that much these days,” Singh says. So Singh is looking to see if state legislation might offer more fundraising flexibility. In the absence of federal crowdfunding rules, at least 14 states so far have passed their own rules establishing crowdfunding within their own borders. But in some states currently considering crowdfunding legislation, including North Carolina, the legislative debate is a tug of war over money. Some entrepreneurs and investors are pulling for higher caps, or none at all, on the amounts companies can raise. Lawmakers, seeking to protect investors, pull for fundraising and investing limits. Meanwhile, the Securities and Exchange Commission has made some rule changes that give startups more flexibility for raising money across state lines. North Carolina initially introduced crowdfunding legislation, through debt or equity offerings, in 2013. That bill won overwhelming passage in the House, but an amendment-laden version of the bill failed to pass the Senate. Now the state is trying again. The new crowdfunding bill still mirrors the JOBS Act, but places oversight of crowdfunding under the securities division of the Department of the Secretary of State, explains Mark Easley, an angel investor and startup advisor who leads a private sector effort to support North Carolina’s crowdfunding bill. The bills in the North Carolina House and Senate that Easley supports would limit companies to raising no more than $1 million every 12 months. But if companies provide investors with audited financial information, that cap rises to $2 million. 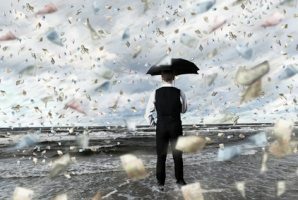 Unaccredited investors, those who the SEC defines as having a net worth of less than $1 million and annual income of less than $200,000, could invest no more than $5,000 a year. A competing House bill would permit crowdfunding without limits on how much businesses could raise. In most states that have passed or are considering crowdfunding legislation, the fundraising cap falls in the range of $1 million to $2 million. A Colorado bill would limit companies to $1 million per campaign. Massachusetts, which implemented intrastate crowdfunding by amending securities regulations, limits companies to $1 million in equity crowdfunding, or $2 million if companies make public audited financial statements. New Mexico, which also implemented crowdfunding by amending existing regulations, permits up to $2.5 million per campaign. But New Mexico essentially allows unlimited crowdfunding becauseits rules permit multiple campaigns, explains Anthony Zeoli, a Chicago securities attorney who develops online crowdfunding portals.